What once was Detroit's largest and grandest hotel, the Cadillac Hotel, is now empty and rapidly deteriorating. Seen to the right are the upper floors of the Penobscot Building. 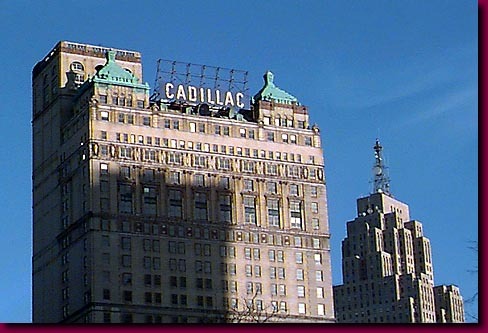 When I stood up in a friend's wedding at the Cadillac Hotel in the 1960's it would have seemed inconceivable that this splendid edifice would ever be abandoned. Its sad decline burdens its immediate neighborhood while a lack of hotel rooms hinders Detroit's convention attracting abilities.